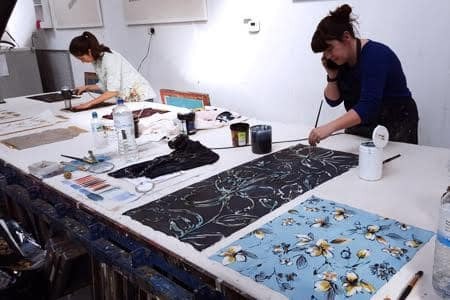 An established printing studio, staffed by experienced individuals, offering both printing services and a range of classes, courses and workshops. 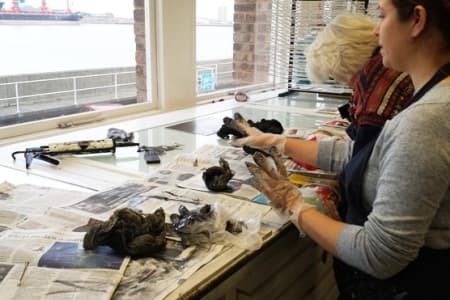 Thames-Side Print Studio are experts in all things print-related, including etching, screenprinting, relief, plate lithography, large format printing and textiles. The business offers printing services, assistance for those within the industry, services for art collectors and a range of educational facilities for both school-aged and mature learners. 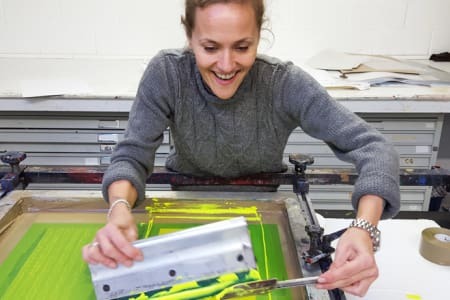 The professional and experienced staff at Thames-Side Print Studio share their wisdom, techniques and passion for printing through a series of workshops and courses suitable for all abilities, from beginner’s classes covering the basics, to more advanced techniques for the more experienced learner. Great instructor. 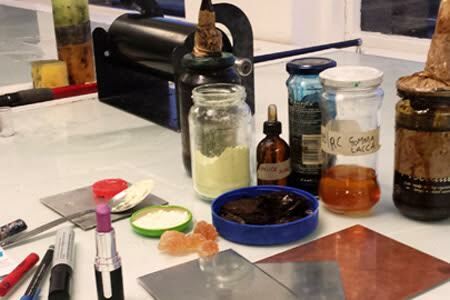 Excellent materials and tools. Community centered vibe and lovely fellow participants. A really well taught and fun course. The facilities and quality of teaching are excellent. I couldn't recommend this enough. Thames Side is an open, friendly place with knowledgeable staff and good facilities. There are only 4 people in the class so there should be plenty of time with the tutor and equipment. First of five sessions was last night and I'm looking forward to the rest of the course. Very good. Small group (5) which we meant we had easy access to the tutor. Tutor friendly and helpful. Premises and equipment good. Wonderful views of the Thames. Plenty of parking space. My aim was to learn the technique and then to work out what sort of images work best - and I did both these. I came away with two prints that I was quite pleased with and have now bought the bits of equipment that I was missing, so I can do more linocuts at home. So for me the course achieved its aim. Great to have a small class of just 4 people. Was able to have a go at 3 lino prints. 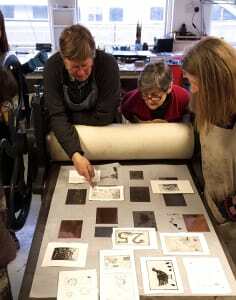 Be good to get earlier knowledge (perhaps at booking) that you need to bring your own images to trace and cut. I only got this info 3 days before on the course reminder email and had little time to find something. (I can’t draw). I would have taken home better pieces with more time to prepare ideas/images to cut.